There’s so much to consider when tackling the work of one of musical theater’s most precious composer/lyricists, Sondheim Sondheim. First, you have to master the sometimes awkwardly beautiful intervals, and then, of course, there’s the lyrical speed and fantastic control of diction required. Maybe you start by diving into the richly drawn, hilarious and poignantly realistic characters. Playing one character in a show is a task in itself, taking on more than a dozen songs, sung by about as many characters from the breath of Sondheim’s canon is a killer. Others have done it with absolute panache, mostly in an ensemble (Putting It Together, Side By Side By Sondheim), some solo (Barbara Cook, Bernadette Peters). 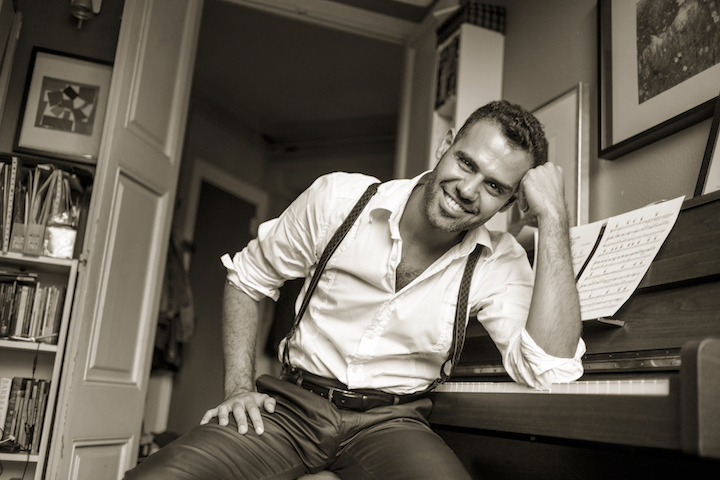 On July 5, Joan Vázquez, a musical theater performer hailing from Spain, accepted this mammoth challenge in his show, Something’s Coming: A Sondheim Tribute at 54 Below in NYC after premiering the same show in Spain and then at Live at Zedel in London. Unfortunately, the mountain for Vazquez was just too much to climb. With substantial musical theater credits in Spain, such as Frank in Merrily We Roll Along, Sky in Mamma Mia!, Claude in Hair and the first Spanish production of Rent, on paper Vazquez seemed to have the chops for this endeavor. He was a regular in repertory companies in Barcelona such as The Zombie Compay, Gataro, and La Barni or El Musical Mes Petit. He has even tried his hand at writing for the theater in his play about Spanish post-war refugees, Se Fue en un Bargo (The Ship That Got Away). Accompanying himself on the piano, Vazquez structured his show simply, individual songs from Sondheim’s shows, some introduced by a personal story or a quote on life and/or art by Sondheim himself. The song list drew from a wide range of Sondheim’s works including Follies, Company, Into the Woods, and as Vazquez’s title would suggest, West Side Story (for which Sondheim wrote the lyrics to Leonard Bernstein’s music). All of the songs were expected ones, the numbers everybody, certainly any musical theater geek, would know like the back of their hand. 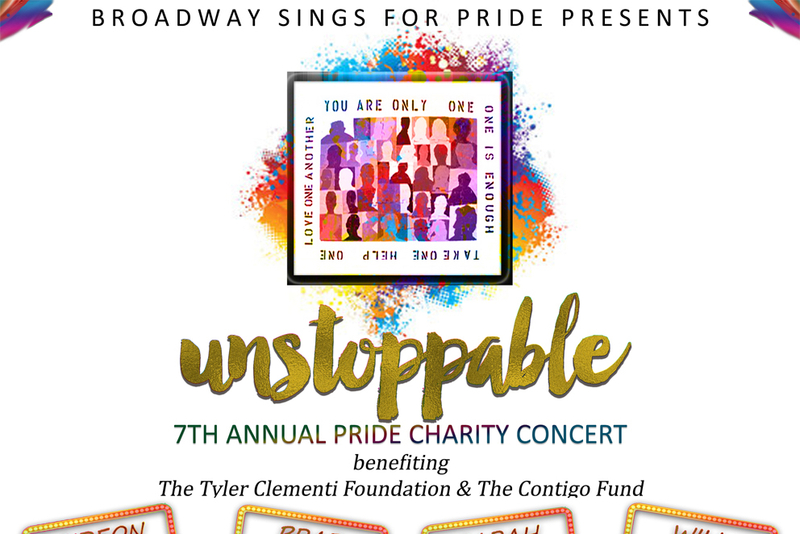 To break the monotony of the structure, or simply so he could do some of Sondheim’s classic duets, Vazquez highlighted three guest stars, Trey Ellet (Amelie, Rent), Natalie Weiss (Everyday Rapture, Les Misérables) and English Bernhardt (If/Then). In a performance like this, there is only one (albeit very difficult) thing that is needed for success. Costuming doesn’t come into play, a set is unimportant (other than a nice shine on the baby grand), and little choreography is called for — the only thing that is imperative is for someone to sing the hell out of the songs. In Something’s Coming, that simply did not happen. Although Vazquez claimed in his banter an obsession and reverence for Sondheim, it was hard to imagine while watching his performance that Vazquez had ever heard a song by Sondheim much less seen an entire show before. There was no passion or connection with the songs he was singing. Musically he was average at best, with some minor tuning issues popping up here and there. However, there was little to no real musicality, and the performance was devoid of feeling and understanding. Throughout the entire performance Vazquez had a pleasant, but fairly vacant, smile on his face and little change in tone, which completely belied the quotes he read from Sondheim and the lyrics to the songs he was singing. As one of those aforementioned theater geeks myself, I went to this performance with high hopes, 75 minutes of pure Sondheim, what could go wrong? Frustration, that’s what. The frustration that even after sitting and listening to the entire set, I didn’t experience a single Sondheim song as it truly should be: full of passion, humor and insight. April Stamm is a theater, food, and lifestyle journalist. She is a regular contributor to The Broadway Blog and EDGE Media Network and is a Chef Instructor at the International Culinary Center. The Drama League Award Nominations Announced!